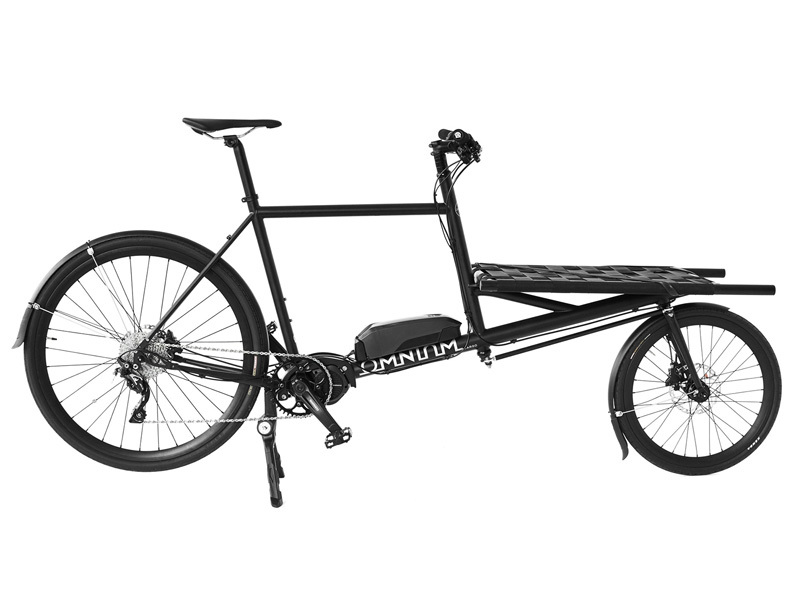 Omnium Cargo Electric with integrated Shimano STEPS E8000 power unit. 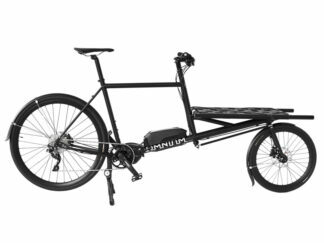 The STEPS E8000 is by far the best system for an electric bike – we tested a lot of options and we are certain this is the Omnium Cargo that will take you to the very TOP of the hill. Powerful SHIMANO STEPS motor is strong enough to handle the steepest of hills, yet intuitive enough to give you just the right amount of support every pedal stroke along the way. 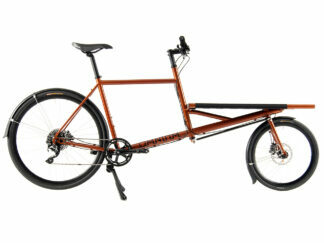 Designed specifically to give you that natural feel of riding a normal bike. Weighs only 2.8kg, one of the lightest motors on the market. Stable, smooth intuitive power for improved bike handling over every part of your day. Solidly supports speeds up to 25 km/h. Lightweight yet rigid crankset for direct power transfer. Both crankset and rest of the drivetrain built on SHIMANO’s proven technology. This gives you reliability and confidence from first to last pedal stroke. Drivetrain components designed to work in sync with each other for unparalleled effectiveness and reliability. 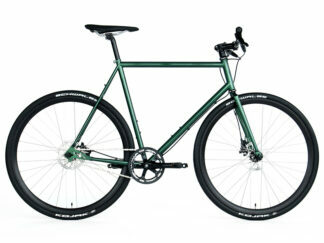 Spec’d with SHIMANO Hollowtech II bottom bracket for added strength and direct power transfer. E-bike specific Deore XT crankset. Shorter 165 mm crank arm minimizes pedal strikes to maintain smooth cadence and motor assistance. Extensive choice of power-assist settings to match your unique riding style. Compact, easy-to-read display with dynamic visuals when switching between support settings. Further personalize your support settings by choosing Dynamic, Explorer or Custom Mode to perfectly match your riding style and intended terrain. Computer specifically designed to be compact and durable for bad weather riding. Easy-to-read LCD – each support setting assigned a unique colour. Sleek bar-mounted computer with dynamic LCD display shows gear number, power assist mode and battery range information. Wirelessly customise your preferences via Bluetooth. Ultra-durable, replaceable, powerful battery specially designed for the rigors of cargo biking. Low profile design for improved impact and vibration resistance. High capacity long-lasting Li-Ion battery of 504 Wh to cover more territory. Supported travel up to 100 km on one charge. 1,000 charge cycles with no significant power loss.